The old Ford Ranger sold between 1999 – 2006 and was designed mainly as a rugged workhorse, unlike the modern version (launched in 2011) which can be also used as a family vehicle in its spare time. Between the old Ford Ranger and the Mazda B Series there was a very strong bound as both models shared a lot of components technologies. However, despite the resemblance with its Japanese sibling, the Ranger kept its unique American character. 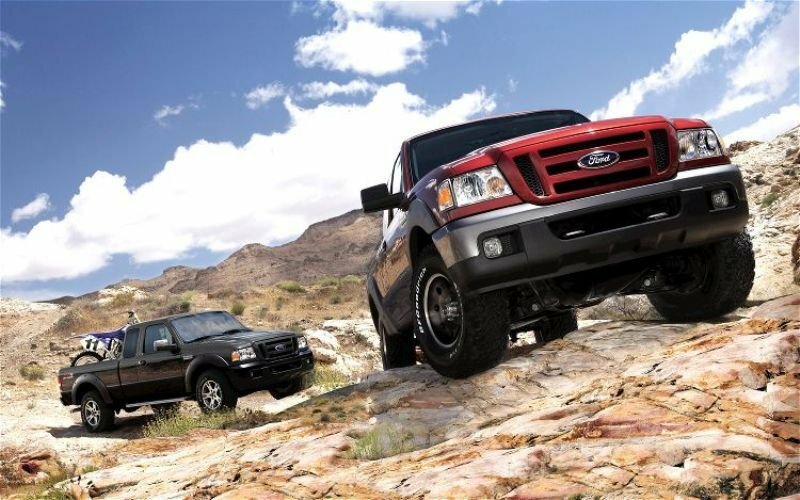 The Ford Ranger competes with the likes of Nissan Navara, Toyota Hilux, Mitsubishi L200 and Isuzu Rodeo, but unlike its rivals who were fitted with strong diesel units, the old American Pickup was offered only with a two 2.5 liter unit which developed 84 hp and 109 hp. The old generation Ford Ranger didn’t managed to stand out from the crowd when it comes to exterior style, as it had a pretty conventional design looking like a typical pickup, with a high ground clearance and a long load bed. On the other hand, the biggest advantage offered by the conventional design is the fact that it manages to hide its age pretty well and doesn’t look odd after a decade. So the ten years old Ranger looks pretty well even if you’ll judge it by today’s standards. The chromed radiator grille was pretty catchy, while the big rectangular headlights completed the tough look of the front fascia. The bonnet had a clean design and was traversed by two creases that converged towards the grille. The bumper had a pretty simple design and was fitted with a central air intake that underlined the purposeful look of the vehicle. The Ford Ranger’s payload capacities ranged from 1085 kg to 1195 kg. Depending on cab configuration the load bed length was 2280 mm (Single Cab), 1753 mm (Super Cab) and 1530 mm (Double Cab). Access inside is made pretty easy and once you’re on board, you’ll find a dull and rudimentary dash that spoils all the fun. As it was expected, the plastics are rock hard and apart from the seats upholstery you won’t find any other soft touch surface. The dashboard was fitted with four rectangular air vents and had a curved design which looked pretty odd. The center console continued the dated design initiated by the board, but it was pretty practical and every control was easy to reach. At the bottom of the center console there are two cup holders and a small cubby hole where you can deposit different things. The instrument panel had a simple layout and we liked its white faced gauges as they are fairly easy to read. The seats were pretty comfortable and rewarded you with a high driving position and adequate back and under thigh support. The single cab versions however, can feel a bit short on legroom, but fortunately you won’t have the same problem in the double and extended cab configurations. The rear passengers are treated with a proper amount of space too, but the taller ones could consider that the leg room is a bit limited. Our favorite detail found inside is the four spoke steering wheel which despite its age, it still looks pretty well and features an ergonomic design, offering a proper grab. Standard equipment included power steering, central locking, twin airbags and electric windows. 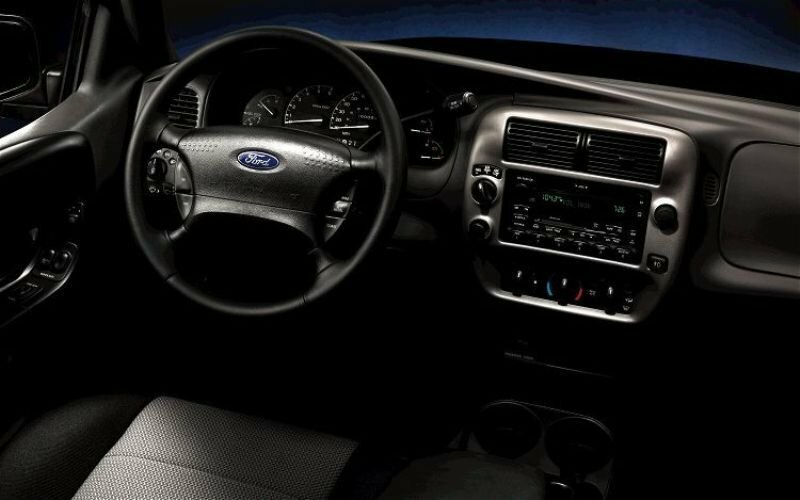 This generation of the Ford Ranger was offered with two diesel engines mated on five speed manual transmissions. Both engines had a displacement of 2.5 liters with the entry level unit developing 78 hp and the top of the rage 109 hp. 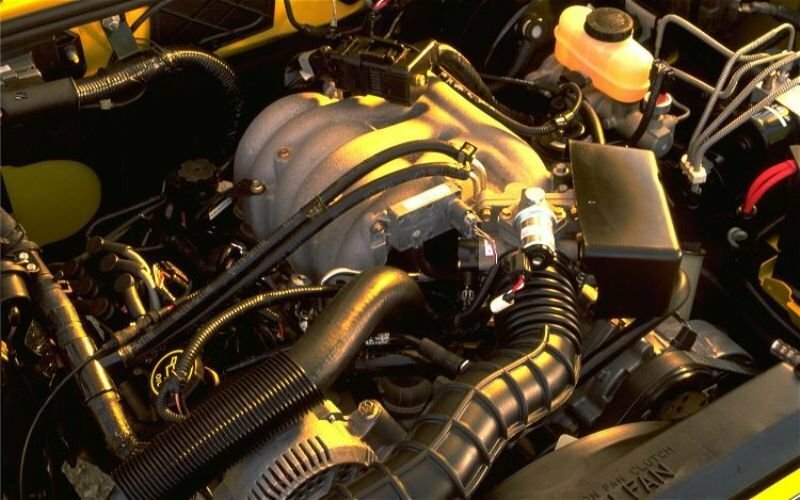 In 2002, the 74 hp unit received a few tweaks and its power output was raised to 84 hp. 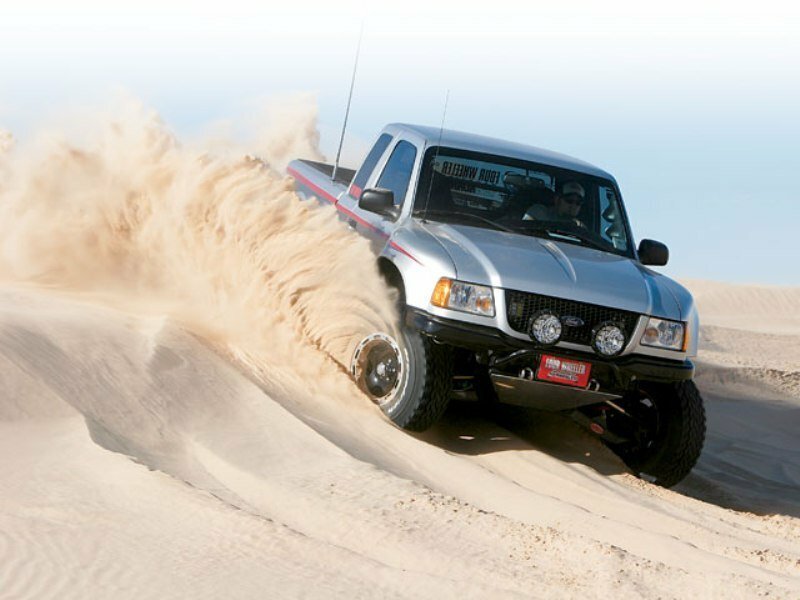 The engines performances were far from being sporty, but they managed to deal well with the necessities of a utilitarian pickup truck and especially the 109 hp unit offered enough torque to keep you out of trouble. The 109 hp version was also equipped with a limited slip differential on the rear axle, thus improving the vehicle’s performances in rear wheel drive mode. 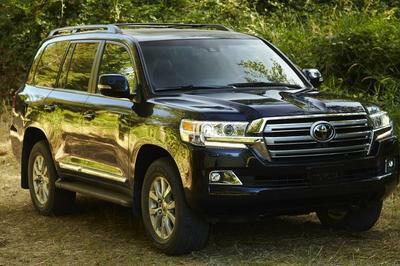 The 4WD models had capable off road abilities and managed to tackle even the harshest terrains without breaking a sweat, being backed up by a good grip and a decent low end torque. Similar with the rest of the pickups found in this segment, the Ranger was fitted with independent double wishbone front suspension and rear leafs. The ride is pretty stiff and the suspensions will send every road bump directly into your spine. 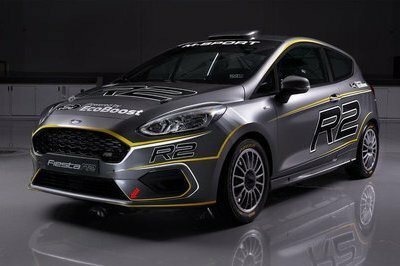 The good part is that the stiff suspension will get you a better stability in corners. Yet don’t expect to great handling abilities as the Ranger’s road manners aren’t in the same league with the old Toyota Hilux or Nissan Navara models. The standard power steering however is accurate and you can rely on it with confidence even when you are driving off road. Stopping power is pretty decent too, being assured by front ventilated discs and rear drums. 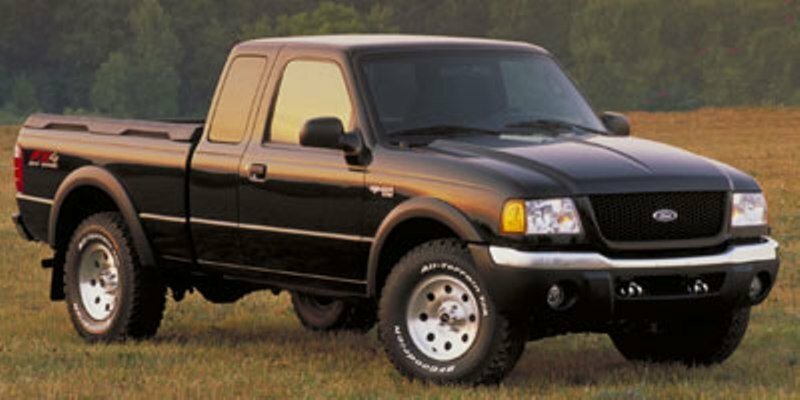 The old Ford Ranger wasn’t the strongest and nor the most comfortable pickup truck of its time. Yet it had capable off road capability and a generous payload capacity. The cabin’s comfort was at par with what you’d usually get in this class and the 106 hp engine offered decent performances as well. It’s true that the ride and handling weren’t the best in class, but the Ranger managed to keep its wheel planted on the ground pretty well. The vehicle was also pretty reliable and its base price didn’t break the bank either.